Being selected as a Prism Young Judge for 2019 is a great achievement as it is a reward for all the hard work I have put in and a platform that I can use to set my mark in the industry and be counted amongst the young people selected to lead the necessary need for change in the industry. Being recognised as a Prism Young Judge is an opportunity for me to grow as a communications practitioner by honing my skill and engaging with my peers who continue to pave the way for young people like me. It is also an opportunity for me to inspire other young people to get involved, to begin to have an opinion about the work we do so that they all begin to love it, enjoy it and use it as a tool to change not only their own lives but the lives of many others they come across on their journey as communicators. 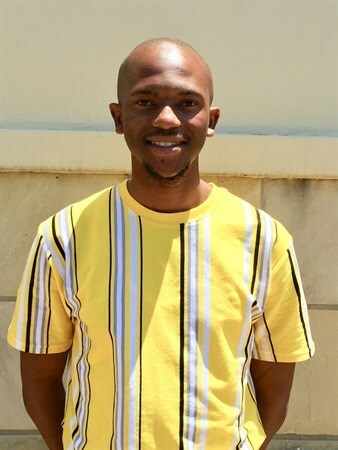 I'm currently enjoying my second year in the industry after graduating from my honours degree in strategic communication at the University of Johannesburg in 2017. I started off as an intern and was soon promoted to a public relations consultant at Meropa Communications. I recently just moved towards the direction of working in a field that I quite enjoy and I am overly curious about, that being digital communication. I currently work as a digital strategist with a specialised focus on social media engagement at Meropa Communications. In these two years, I have learnt many important lessons which have directed and assisted in fast-tracking my growth, as well as the understanding of delivering work that is able to touch the lives of people. It has taught me to love what I do and to appreciate every opportunity I get in perfecting the art of communication whilst tailoring it to each and every client I work with. It has taught me the important need to inspire students studying in any field of communications, to focus on their skills and to find the belief in them, in their capabilities and their dreams through the work they are inclined to do. The judging process was a very rewarding experience, one that I will keep with me forever. Being on the other side of the awards as a judge and not as the entrant has taught me a different perspective on the industry and the important need to award work that is executed extremely well. Judging is certainly not an easy job to do because one needs to see the work for what it is before looking at the amazing results gained through the delivering of the campaigns. It has helped me refine my abilities to evaluate strategies and the important need for each strategy to solve an overall problem in society as well as that of the brand or client. I also got the opportunity to engage other experienced judges who were always willing to hear my opinion on the entries that were up for judging and share their inputs on what an award-winning entry should be like. The overall process has made me realise the important role I play in the development of the industry through my active participation. The response has been very positive, with the increased number of entries from last year. This year the judges were very pleased with the high quality of work submitted for judging. Many of the entries present outstanding results in terms of the impact of the work done by all entrants and this has made this year’s entries very competitive. A winning entry stands out because of how it is written and whether or not it solves a problem/opportunity for the brand. The entry needs to show evidence of each stage of the campaign, from the inception of the idea to the execution and evaluation of the campaign based on its objectives. The winning entry needs to also provide value in terms of delivering business objectives such as the ROI and most importantly for the audience it is targeting. It is important to include PR students because they are the future of the industry and their participation ensures the successful growth of our field. Their involvement is paramount to the development of their skills and their ability to influence change in the industry that will allow for the breaking down of boundaries that prevent the involvement of young people in the industry especially in leadership positions in the industry. The students know what they want and they offer a fresh perspective of how things need to be done in order to make the industry more lucrative than it is currently. We as young minds bring a fresh and dynamic perspective to a number of topics up for debate in the industry. We are not afraid to challenge and encourage debate. We bring a different perspective driven by a voice that is resoundingly loud in voicing out the opinions of the young people who are often ignored on the basis of the being young or being junior to those who are decision makers. We bring in the necessary energy, hunger to learn and share our knowledge, which is as equally valuable as the knowledge shared by those who are more experienced than us. We bring in the necessary views on the vision of the Prism Awards and the inclusive involvement of young people. I have learnt the need to always have an opinion, whether good or bad; one must be able to share how there are feeling. I have also learnt the important need to realise that the awards are about uniting the industry, even through competition, it is about celebrating the good work that continues to be executed by all communication practitioners in our field. I have learnt to respect our work and to always remain prudent, authentic and diligent in anything that I do as a judge. However, the biggest lesson I have learnt is to always remain humble because as a judge our work is to grow the public relations industry and this role to serve the industry can only be done by a few individuals. In the past, not much was done in terms of preserving the value of public relations, which should be done by ensuring that it continues to evolve with the times, by being agile in its approach and by continuously vouching for inclusive participation by all practitioners of public relations. The present sees much of the industry trying to play catch up with other competitive and highly-developed aspects of the communication field, such as advertising, which sidelined the important work of public relations. The current state of PR shows us developing faster than we did in the past and by breaking down many barriers, we have been able to ensure the sustainability of public relations, however, there is still a lot of work that still needs to be done. The future of PR is bright and with the involvement of young minds, it will continue to grow without being overshadowed by other aspects of the communication field. PR will no longer be undermined in terms of its impact and its capabilities of changing the way brands conduct their business, the way that PR practitioners conduct their work and of course the lives of those who are engaged through public relations. The title of Prisms Young Judge would mean that I have now gained the chance to be an example for many budding young minds who are still waiting for their chance to participate in the industry, to show them that we are capable and that it is possible for us to get involved and become leaders that inspire others to do more. It would mean that I am ready to serve the industry and to actively contribute to its success and in the securing of its future for many years, decades and centuries to come. I am looking forward to getting dressed in one of my fancy suits, seeing everyone who has participated in the awards and sharing the moment to appreciate as well as celebrate the successful year of work conducted by everyone in the industry for 2019. I look forward to seeing which entries have received the nod in being recognised as the best of the best and seeing the people who are behind all the incredible work that was delivered this year.